The sites are organized by the selected chromosome and minimum #populations typed. 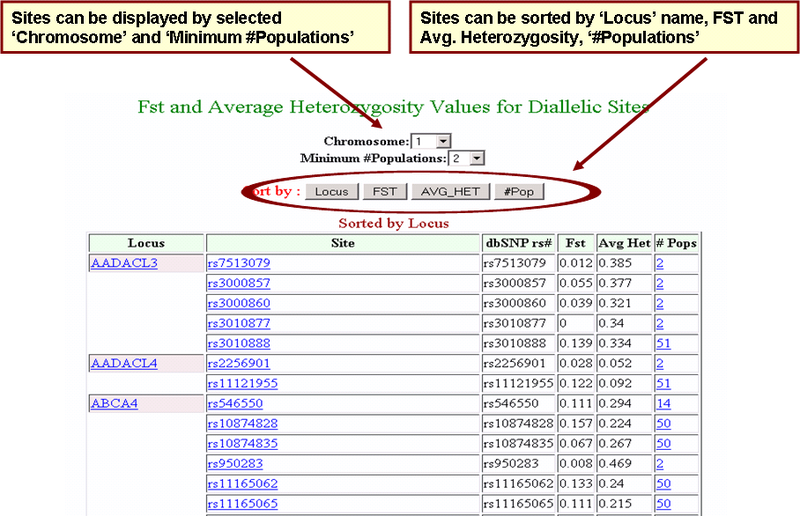 Sites can be sorted by 'Locus' name, 'Fst', 'Average Heterozygosity' or '#Pops'. Link to frequency table from the #Pops display.